Xiamen Park Easy Electronics Technology Co., Ltd.
China (mainland) Fujian XIAMEN CITY,4th, Floor, No. 43 Factory, Huli Industrial Park, Eastern Sea, Tong'an District, Xiamen, Fujian. LED Display Think about the crazy job when hunting for space in a multi-level parking lot--going up and down from one level to another, driving from and to one aisle to another. LED displays are designed to be the window of the system. It?s strategically installed at every decision-making point and to tell driver which direction to go or to avoid. With dynamic arrows and figures on the LED display, drivers are able to experience the foolproof parking. 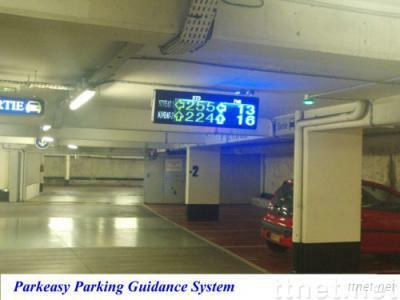 Simply follow the LED displays arrows and drivers will reach the available space.